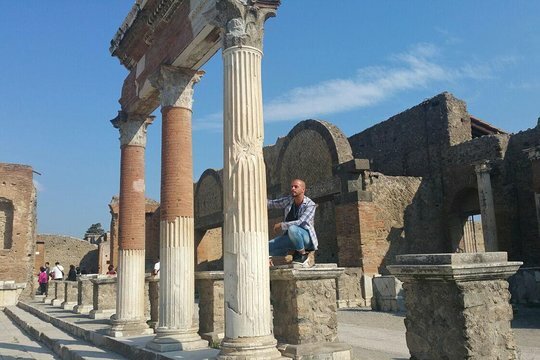 Many tours stop at Pompeii and the Amalfi Coast separately. This tour—ideal for travelers who are short on time—picks you up from Naples and visits both attractions in one day. 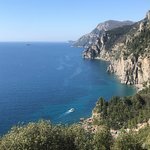 Combine beautiful scenery, archeology, and history by visiting the UNESCO-registered Pompeii and three towns on the Amalfi Coast. Your morning starts with a pickup from the Naples port or your hotel. 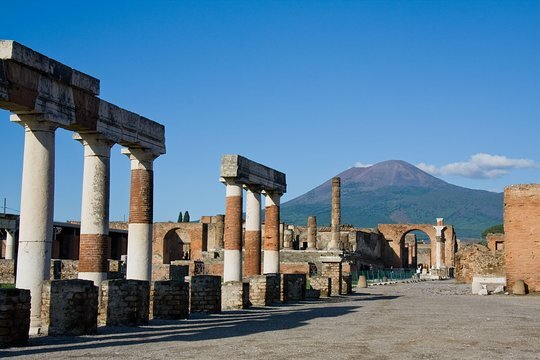 Meet your group and guide and take the roughly 30-minute journey to Pompeii. Enter the archeological site after your guide purchases tickets for you, and spend roughly two hours exploring. From November through March, the guide in Pompeii is replaced with an official interactive audio guide for groups less than six. 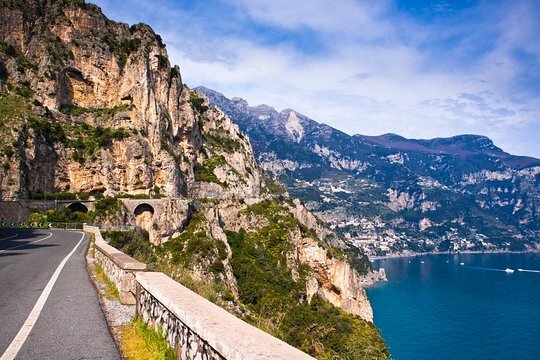 After Pompeii, hop back in the tour vehicle and make the roughly 40-minute journey to Sorrento and the Amalfi Coast. Stop in charming, cliffside Positano. 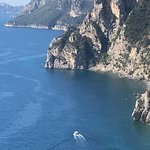 Head toward the town of Conca dei Marini, stopping at two villages along the way, and have lunch on a terrace overlooking the sea and the famous Grotta dello Smeraldo. 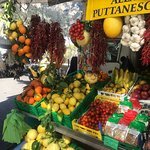 After lunch, drive to the town of Amalfi—after which the coast is named—and spend roughly a half-hour there, exploring the charming streets and checking out the cathedral. Then, take advantage of time spent in Ravello by snapping photos of the mountains and sea. Take the journey back to Naples and get dropped off at your original departure point. 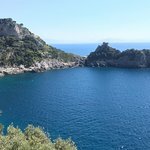 Get quick answers from Daily Pompeii and Amalfi Coast Tour from Naples staff and past visitors.